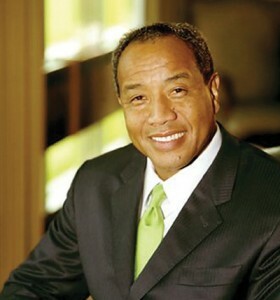 Michael Lee-Chin, chairman of private equity fund Portland Holdings, a major shareholder of The Clarien Group, has been made a member of the Order of Ontario, the highest honour in the Canadian province. Mr. Lee-Chin, who was born in Jamaica and is a resident of Burlington, Ontario, was one of 23 new members named this week by The Honourable Elizabeth Dowdeswell, Lieutenant Governor of Ontario and Chancellor of the Order of Ontario. Other new members include comedian Dan Akroyd, science fiction author Robert J. Sawyer and Allan Rock, former Canadian ambassador to the United Nations. The Order of Ontario recognises individuals from all walks of life and professions whose exceptional achievement in their field has left a lasting legacy in the province, in Canada and beyond. The Lieutenant Governor will bestow the honour to the newest appointees during an investiture ceremony at Queen’s Park, Toronto on February 27, 2018. Mr. Lee-Chin was cited by the Order as “an entrepreneur who believes in the power of giving back. His gifts to local hospitals have improved patient care, and his historic contribution to the Royal Ontario Museum led to the creation of the iconic Michael Lee-Chin Crystal”. Opened in 2007, the Daniel Libeskind-designed Crystal is the spectacular entrance to the Museum and has been listed by Condé Nast Traveler one of the New Seven Wonders of the World as one of the world’s architectural marvels and one of six modern buildings to rival Australia’s Sydney Opera House.